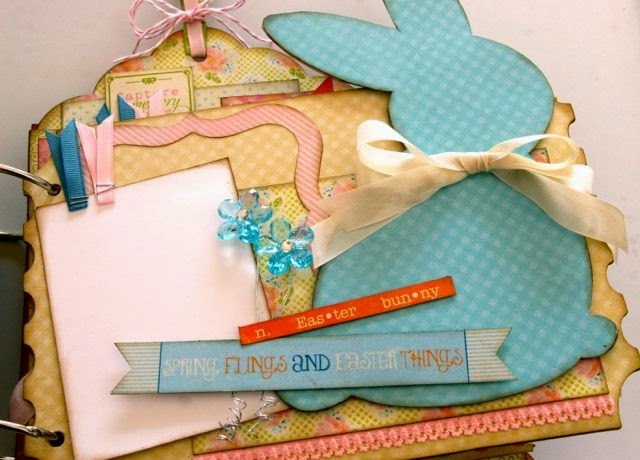 We are very excited to feature the "Hip Hop Easter" Mini Book kit from Gogo Girl Scrapbooking today! 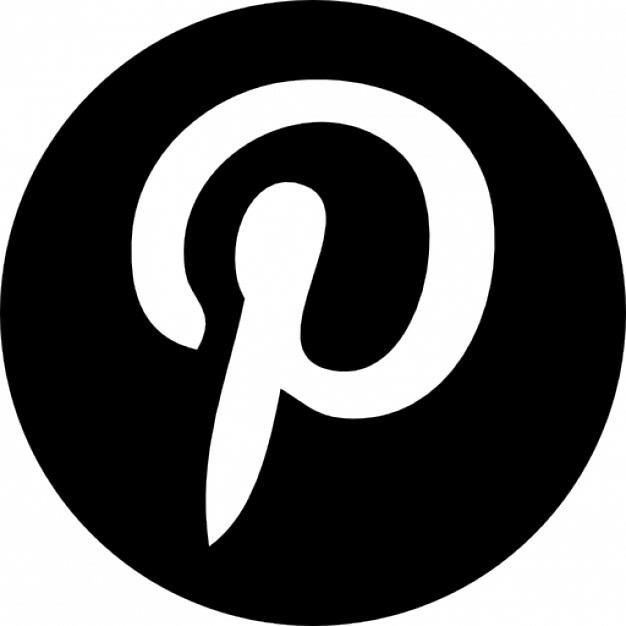 We met Traci at Winter CHA this year and watched as she carefully picked pieces from our "Promise" collection. After chatting with her, we knew that this kit would be a big hit! 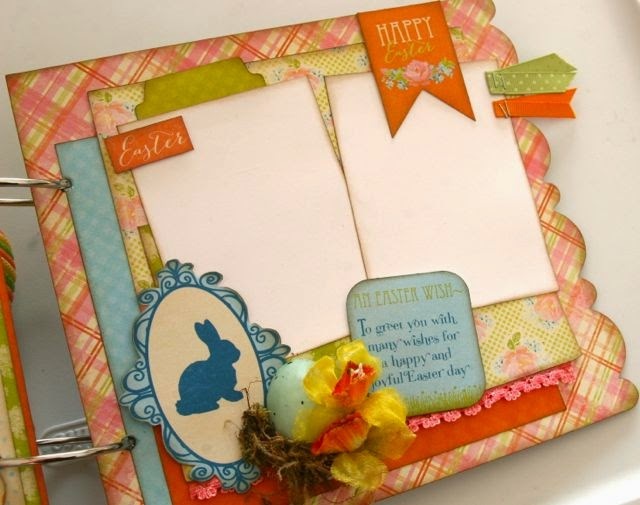 Hippity Hoppity Easter is on its way and you'll want to feature all your springtime photos in this one-of-a-kind mini book. We've used the new "Promise" line by Aunthentique. 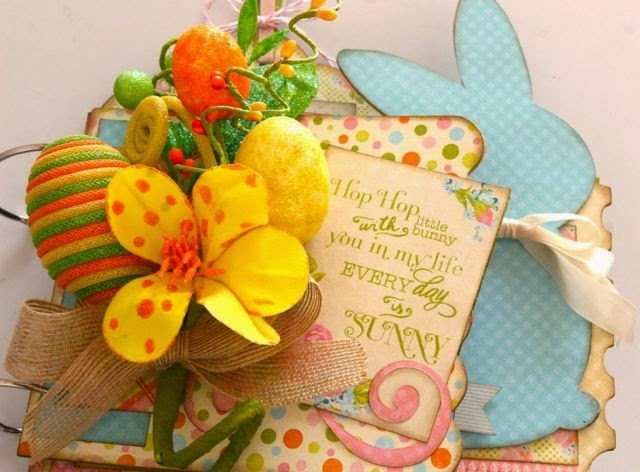 The bright eggs and polka dot flower on the front cover immediately catch your eye and bring the sunshine inside. 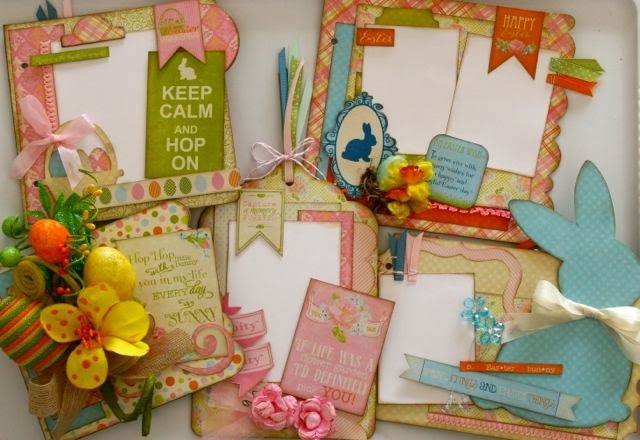 The pastel colors and beautiful patterns in the papers will compliment all your spring photos. 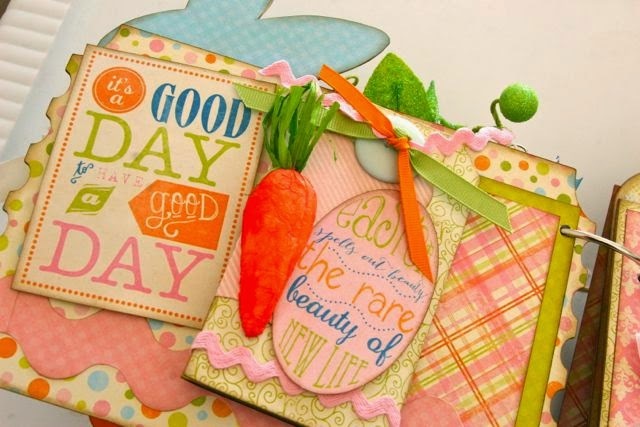 Included in this kit are some unique embellishments including eggs, flowers, and carrots. 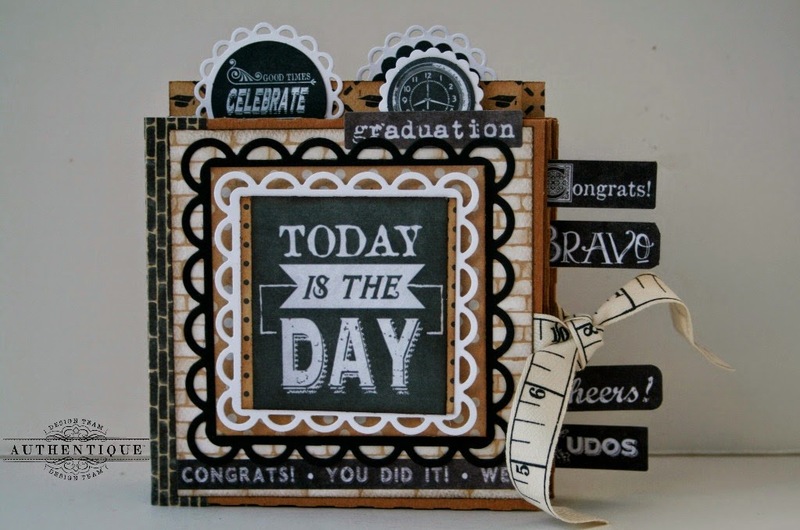 This kit comes pre-cut ready to assemble with full color instructions. 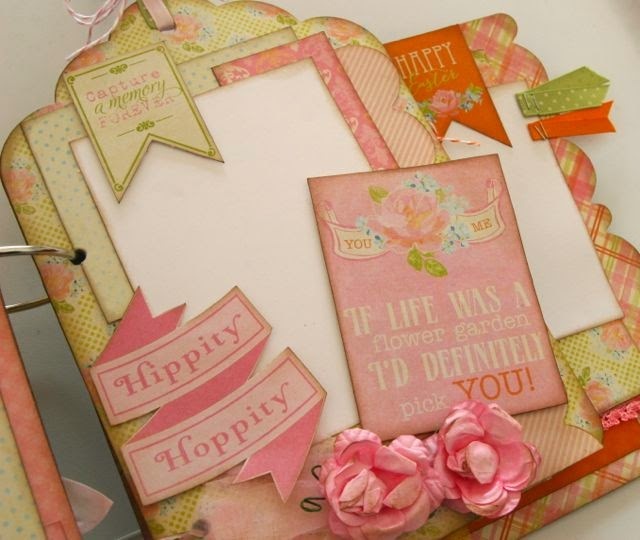 To see more or to purchase this kit, please visit Gogo Girl Scrapbooking and grab one before they are gone!